Using time effectively is important for successful studying. Use the time available in the most appropriate way for you. Using time effectively is important for successful study but it is equally important professionally and socially. Just like money, time is a resource that we can either use wisely or waste. We are generally pretty good at keeping control of our finances – we don't like getting in to debt by spending more money than we have and we don't like to see our money go to waste. As a general rule we will do a lot of research trying to find the best deals before parting with our cash and there is nothing like getting a real bargain and saving money. Oddly enough, although we are fairly good at this financial management many of us are less clever when it comes to spending our time. With time we all have the tendency to over spend, to waste, to get into debt and to fail to look out the best bargains. Often our inability to take control of our time management is related to time's ability to mislead us. Unlike with money there are no receipts, statements or ATM's giving us a read out of our balance and cutting us off if we become overdrawn. We can get into serious "time debt" without noticing until life starts to become difficult for us. A good way to gain control over time is to think about the four different kinds of time that influence our lives and to represent them on a wall-planner using a colour code. In this way it becomes easier to see exactly just how much disposable time we have to spend on study for example. Inflexible time – what immovable events take place in a week/month/term? When are the times in a week/term that cannot be negotiated or avoided and when study simply cannot be done? Family events, birthdays, holidays, work commitments. Our time isn't entirely our own – we need to have a realistic sense of the time actually available to us in the same way as we need a realistic sense of our disposable income once our bills have been paid. 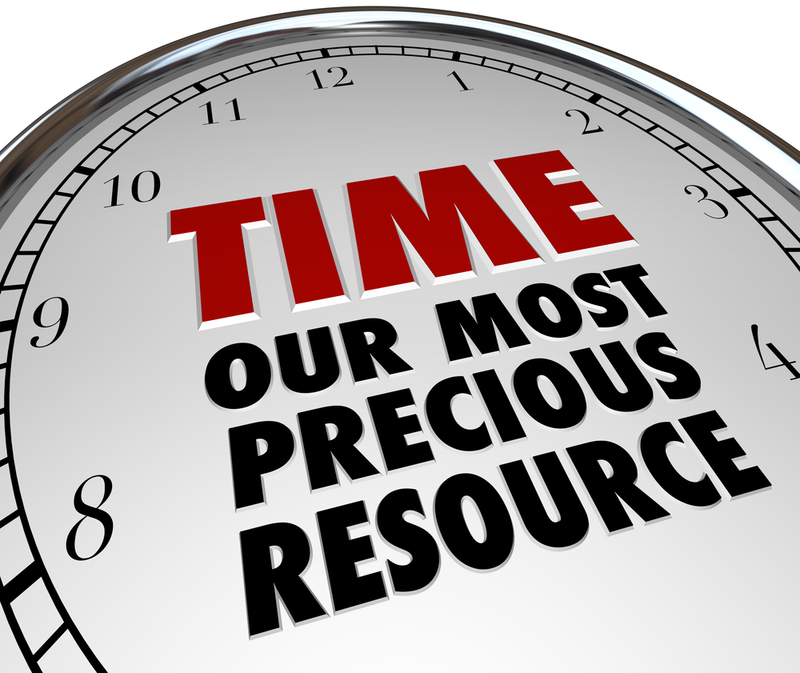 Appropriate time – When do you have time to work effectively? A few minutes here and there is not enough. Are there specific days/evenings when it is possible to spend a decent amount of time on a task? It often takes us a while to get ready to work, getting our brains back in gear and collecting our thoughts can take quite a while. Once we do get started it is important to keep going for a reasonable chunk of time rather than waste this preparation time by finishing to soon. - When do you have the largest blocks of free time to spend on study? Personal time – when do you actually work best at specific tasks? Some people work better in the morning or afternoon. Some people prefer to work straight after getting home others need more of a break. - We are all very different and to work effectively we need to optimise our time. - Some parts of the day may only be suitable to fairly mechanical tasks such as bibliographical work, writing up notes, searching the net and the library. - Other parts of the day are when we are more alert and better able to think, structure and argue. - Use the time available in the most appropriate way for you. - Can you identify your best time for serious academic work? Negotiated time – When we live with others or have a social life it is important to negotiate with these friends and family members. - Studying within a family context, for example, involves an implicit contract that those others in the house will support you in a variety of ways. - What are some of these ways? Are there conversations you need to have with family and friends to give you time not just space? Once you start filling in a wall-planner it can be surprising to see a pattern emerge where we don't have nearly as much effective free time as we once thought and that essay that is due in 3 months, well, in real terms we actually only have two weeks to get it done. I wasted time now doth time waste me. It is easy to think that we have all the time in the world to complete a task – especially if we have been given plenty of advanced warning. How often have you been late to some meeting precisely because it's not far to go so you leave it till the last minute to set off? How often have you been overdrawn because you've started spending on "jolly's" before getting all your bills paid first? Pay your "time bills" promptly and realistically "map" your route through time. Time Management: Spend time don't waste time. Time is a valuable resource and it can be well spent or it can be wasted. Try and make sure that you have a realistic view of the time available to you for any piece of course work. Don't simply let time control you, take control of your own time, identify when you work most effectively and focus you studies at these points. If you are a morning person do your "heavy" thinking and writing then whenever possible. Build in time off to relax. Own your own time.